I'll admit, before a week or so ago, I had only had hummus once in my life. It was almost embarrassing when Sabra contacted me to say that they've never seen me write about hummus before. I really even didn't know much about it. So they sent me some samples and I can now say that I am much more educated and we are definitely in love! My wife wouldn't even wait for me to get home on the day the box came. She had it opened and already had a favorite before I even walked in the door from work. So if I called you, could you tell me anything about Hummus? Sabra has a great Hummus 101 page on their site where I gained most of my knowledge. For those of you less familiar with it, it's primarily ground chickpeas and ground sesame seeds. Sounds simple enough? And really it is. They add in various other flavors but even the original goes well with so many different things. It's certainly more healthy than my usual snack options too, with no cholesterol or trans fat. It's a great source of protein too! We've primarily used it for snacking so far, using pita chips and other various vegetables to dip and enjoy. My favorite is the Tuscan garden, which mixes in tomatoes, peppers, spinach, carrots and herbs. My wife loves the Supremely Spicy. 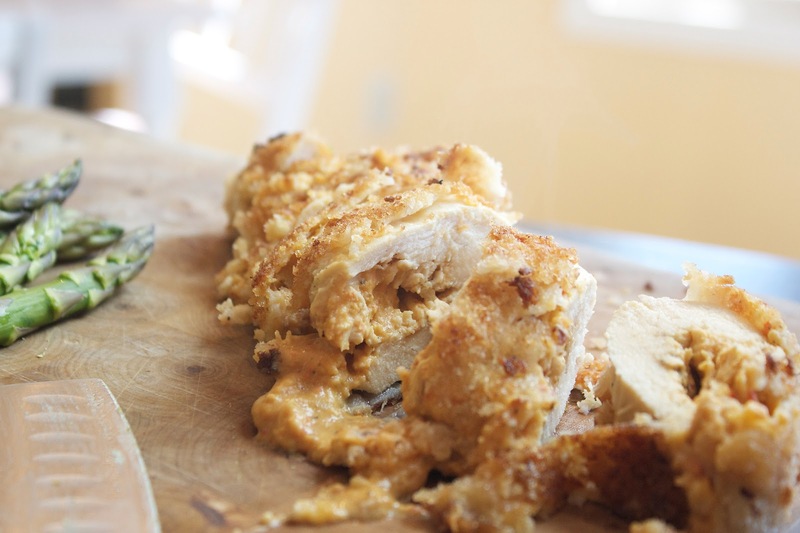 I did want to make a recipe with the hummus as well and I came across this stuffed chicken breast on their recipe page. 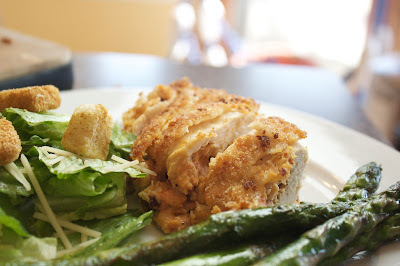 I loved how simple this chicken is and was really quick to put together. I actually prepared most of it the night before, wrapped up the stuffed chicken and then just had to bread it and cook it before dinner the next day. It finishes in the oven and then is sliced up showing off the great hummus filling. Experiment with different hummus flavors and it would completely change the flavor of the chicken! Pound out a 6 large chicken breasts to about 1/4 inch thick. Season with salt and pepper and then spread with about 2 tablespoons of hummus. Roll up the chicken breast and wrap tightly in plastic wrap. 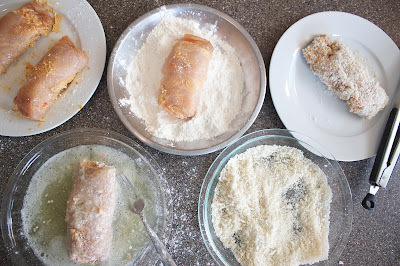 Refrigerate for at least 45 minutes. 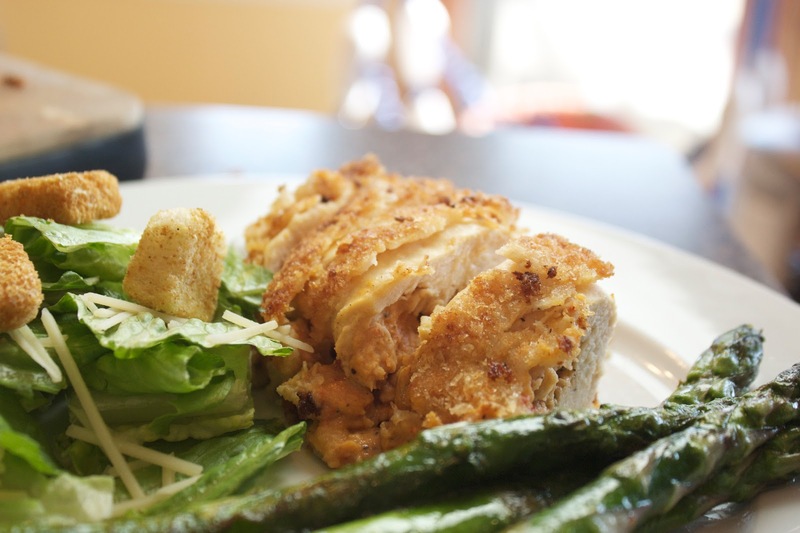 Dip each chicken breast in flour, egg whites and panko bread crumbs. 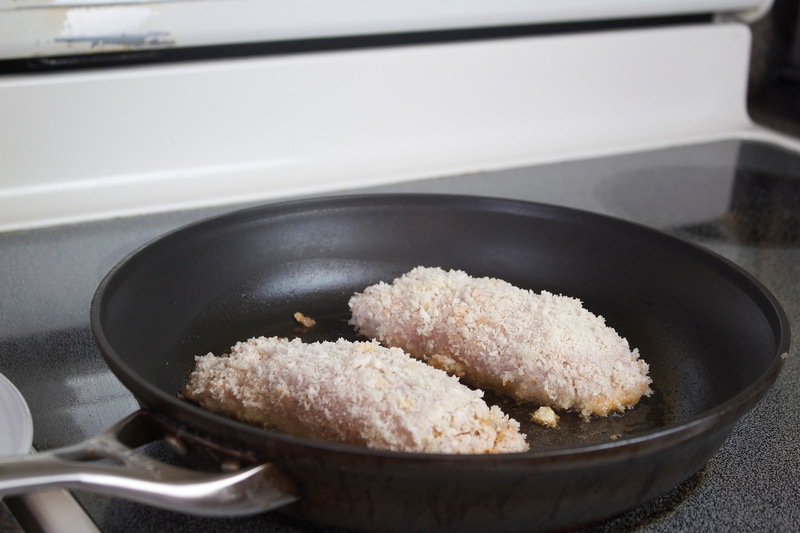 Saute the breaded chicken breast in olive oil for two minutes on each sire or until lightly browned. Finish in the oven at 400 degrees for about 15-20 minutes or until chicken reaches internal temperature of 160 degrees. 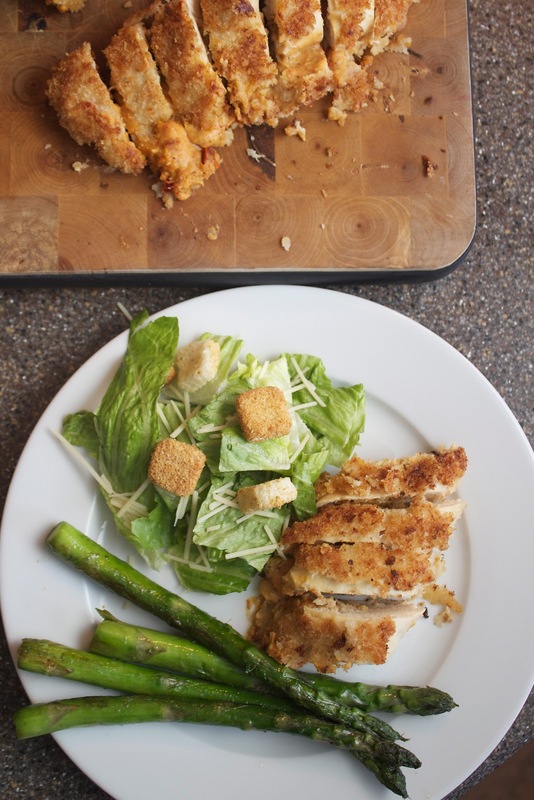 Check out Sabra for the entire recipe! Hummm...I love hummus and I love chicken. Sounds like a match made in heaven to me! I love hummus and it's a staple in my kitchen. 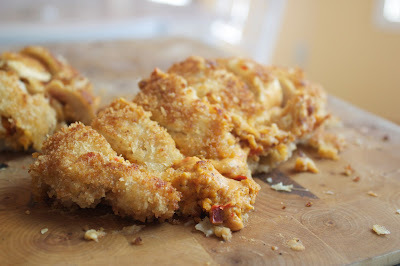 Great idea to stuff chicken with it! This looks great and I will try it soon. FYI—Trader Joe's sells a hummus with horseradish. Not sure if it would work in this recipe but it is addictive with pita chips and veggies if you like a little heat. They also have Hummus with Cilantro and Jalepenos at Trader Joes..not really spicy, just very very yummy! This would be amazing with Chicken too! I live in Central Oklahoma and am not sure where to find hummus. I don't recall seeing Sabra products, but I may not have been looking for them specifically. Can someone tell me IF Sabra or a comparable brand of hummus is available in this part of the country ...?? ?